Our Cherry Tree: Do I really need to 'enjoy every moment'? 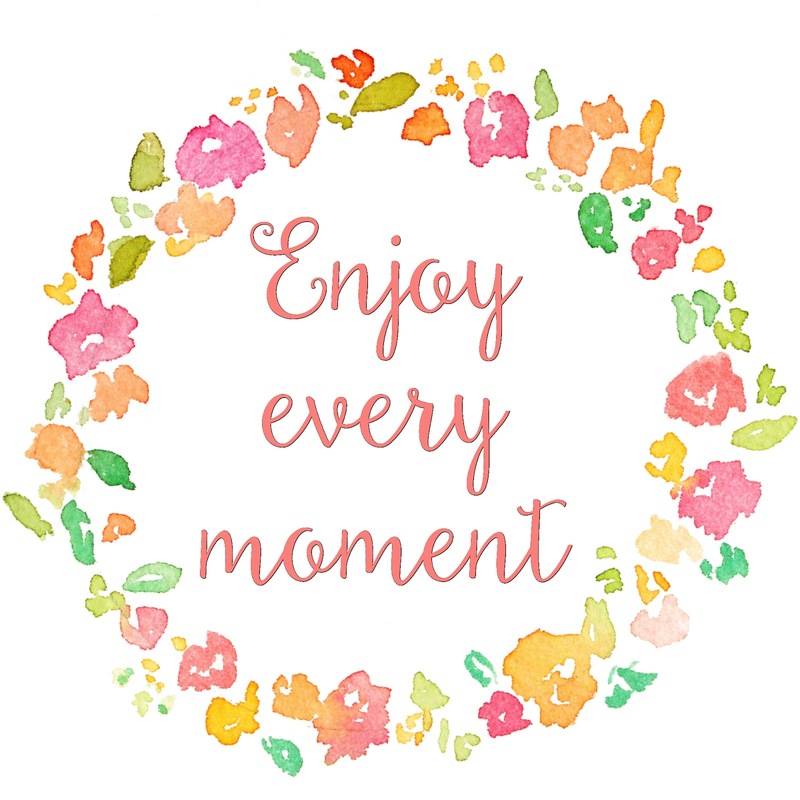 Do I really need to 'enjoy every moment'? There you are, happily scrolling through whilst the precious darlings watch yet another episode of Bing when it hits you. And you realise, crap, I'm not enjoying this moment. Why am I not enjoying it? What kind of mother am I? Please don't get me wrong, I love my children more than life itself. A lot of the time being Mummy to them is the most rewarding, most amazing thing in the world. But there are points which just aren't enjoyable and when you're at a rubbish point in parenting, the very last thing that you need is a sanctimonious reminder that you should be 'enjoying it' when you're not. I've lost count of how many times I have been told "enjoy it, they grow up so quick" and every time I have to grit my teeth to stop myself from asking if they would really enjoy being up every couple of hours during the night? Whether they would enjoy it when their child was unwell? Whether enduring a supermarket toddler strop is enjoyable? Because some bits of parenting just aren't 'enjoyable'. Some bits are damn right unpleasant. When Lily was a newborn she suffered from awful reflux and frankly, it was a nightmare. Add reflux to being a first time mother with PND and you have a period of time that was never going to be much fun. If I'm truly honest, I don't miss those days, even though I miss the wonderful moments like hearing her giggle, feeding her, holding her. And that's life. Not everything is perfect. I am certainly not a perfect mother and I don't pretend to be but I don't want to be reminded of how spectacularly bad I am being on any particular day by a pastel-coloured Facebook meme. I know that 'treasure the good bits and forget that gross nappy' isn't an inspiring or catchy slogan and yet it is certainly more realistic and attainable than striving for that perfect mothering ideal of relishing the screaming, pooping and having an audience when you pee. My children will grow up. They're growing up so fast that my heart aches when I think of holding them in my arms as newborns. 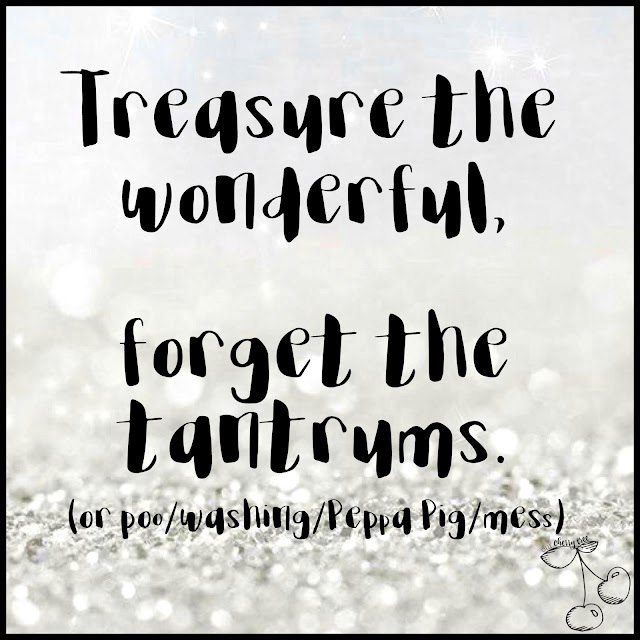 Perhaps when I look back I will find myself missing the washing and the mess similar to how my mind has blocked out the very worst pains of childbirth. I'm grateful that I experienced it but I'm also immensely grateful that much is lost in a haze of hormones. When I think back to pregnancy I even manage to overlook the horror of throwing up eight or more times a day for the whole nine months and instead fondly remember how wonderful it was to feel my baby kicking in my tummy. In the same way I want to look back on these times with my children and instead of dwelling on the days where everything seemed pretty sh*t I want to treasure the kisses, the cuddles, the first steps and first discoveries. And I hope it is the same for them too. That they don't remember the days I cried because the washing pile was bigger than a baby elephant but look back on the times we snuggled to read before bed, or made dens in the garden and played shops with Daddy teaching Lily to say "please don't die in the corridors" over the toy till microphone. Enjoying every single moment is just not possible. But choosing to prioritise the wonderful in your bank of memories is a choice I can make. Dear kids, please stop eating my food!